A legend of radio, television, and live performance, Victor Borge entertained the world for over seven decades with his clever and unique blend of comedy and music. This collection includes seven side-splitting Victor Borge specials from the archives and is filled with live performances, magical moments from early movies and TV shows. Featuring comedy bits like Count Fall-Off-Of, Play Something on the Piano, classical performances of Clair de Lune and selections from Carmen, plus so much more. 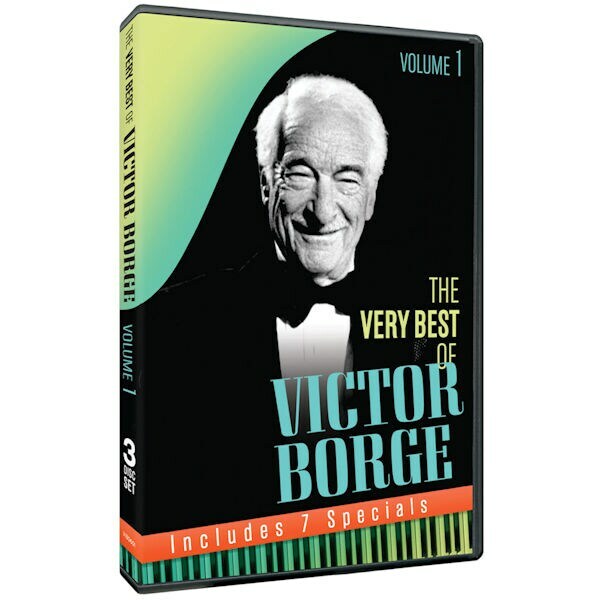 A must-have for any Victor Borge fan! 3 DVDs, 8 hours, SDH. • Victor Borge: 100 Years of Music & Laughter! • Victor Borge: Comedy in Music!